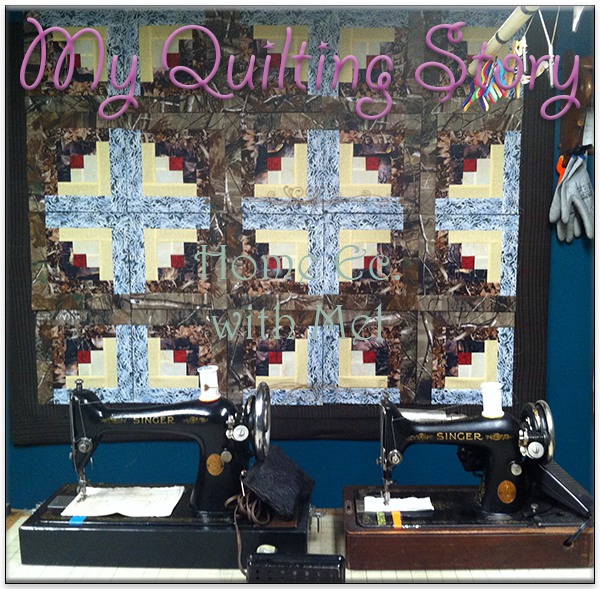 Hello everyone, not long ago I was posed with a series of questions about sewing and quilting. It started with, "Oh this is really pretty, did your wife make this?" And I answered "Thank you. but no ma'am I made this on a treadle sewing machine." Suddenly there was a silence in the fabric store that was deafening. The clerk at the store said, Well she really picked a beautiful combination of colors for you, this time it was the wife who stated, He picks his own fabric, I realized that I was the only guy in the store who was actually buying fabric and not just carrying the wife's future stash around.I also became aware of the fact that thirty pairs of eyes were now focused on ME. Now the questions really started flying at me from all angles. How,when ,and why were the beginning and the last one will always be burned into my brain because I knew I was accepted, What do you think of this combination? How long have you been quilting? 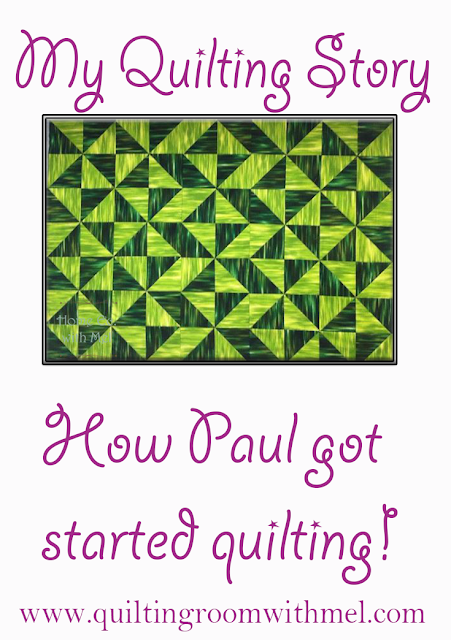 Well my first quilting experience was really a very simple beginning. One fall when I was about 9-10 yrs old my mom started a set of twin quilts for my sister and I. My sister is three yrs younger than I so she got bored with the block cutting so I spent evenings in front of the television cutting. Mom used some old army blankets instead of batting. we cross-tied the corners of every block instead of quilting the top to the backing. Super warm and I loved that quilt but lost track of it when I left the nest as a young man and started my own adult life. When did I start treadling? I didn't start treadling until about 3 yrs ago. My wife wanted a treadle sewing machine that was different than most of the treadles in our area. We found an 1898 National treadle sewing machine built for the Cash Buyers Union and called an 'Arlington'. Definitely different than the Singer treadles we had been finding. We got it all cleaned up and moving like a new machine and the more we played with it the deeper I was hooked. I bought myself my own treadle and now after acquiring several different treadles it has became my primary preferred method of sewing. Why do I make quilts? I have always enjoyed working with my hands,I like to design and build my own designs, I tried carpentry,and welding,but it didn't give me the freedom to use my own ideas, I enjoy cooking but would rather eat my wifes meals because she is a better chef, I like quilting because it is so versatile. It can be as simple or as complex as the individual doing the sewing. It's an art that can be enjoyed at any age and skill level. Some quilters are very precise and strive to make picture perfect points and corners and each seam has to be exact. And then there are some, who are very much more relaxed and can roll with the slight deviations and when the quilt is done it looks and works just as good as the the extremist quilt. I'm the kind of person who tackles things that push my skill level, then I get frustrated and cant stop on it until I get it mastered. It doesn't matter if a person is an extremist or if they are nonchalant and carefree. If they enjoyed the work they put into their project then it was worth the effort to do it and someone will end up with a true one of a kind original. Do these colors work together? Now as we address the last question it will take little thought from the readers to understand the concept. There are a few different ways of looking at how different materials will (work) with each other. Some will swear by the color wheel and only match color through the spectrum of the accepted way. Sometimes the designs are more geared for the use of tonal quality to get the desired effect. And then there are the times when the material just speaks to you. It just stands out and catches your attention and you just can't refuse to use it even if it doesn't fall into the accepted standard. This is my personal preference and usually the results are phenomenal. What ever the case may be, it will always be an outward reflection of the person who will eventually use it and love because in the end, That's why we made it. All of mine are made to be used and loved, they need to fulfill their destiny by being used in order for the love that went into making it can be returned to the ones we love. I so agree with your last sentence! My quilts are not perfect but they are made with love and I give them away to people around me. Some of my earliest quilts (sewn entirely by hand) have disintegrated after being used for a long time, but I know they kept the recipient warm when needed!